Tuesday 26 March, 2013 - Bristow Group announced today that The Department for Transport in the United Kingdom has awarded its UK affiliate Bristow Helicopters Limited (Bristow Helicopters) a new contract to provide civilian Search and Rescue (SAR) services for all of the UK. The SAR services contract has a phased-in transition period beginning in April 2015 and continuing to July 2017 and a contract length of approximately ten years. 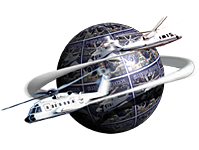 William E. Chiles, President and Chief Executive Officer, said, "We are honored that our affiliate Bristow Helicopters was selected by The Department for Transport to provide this vital service for the people of the United Kingdom. This award will employ 22 of the world's most technologically advanced and safest helicopters which will dramatically improve the capability to save lives and significantly reduce the UK Government's costs for the next decade. It is planned that some of the military personnel currently involved in SAR in the UK will join Bristow Helicopters to work under this contract, and we look forward to welcoming them into the Bristow family." "The total capital requirement for this project is expected to be approximately $1 billion, much of which is dedicated to the acquisition of 22 of the most technologically advanced, SAR-equipped S-92 and AW189 helicopters ever built. 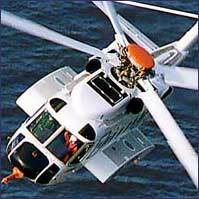 We believe that the financing plan based on our company's capital strength was an important criterion for the selection of Bristow Helicopters to provide this life saving service which requires a high level of safety and on-time reliability, and at higher service levels and lower cost than previously anticipated by the UK government. 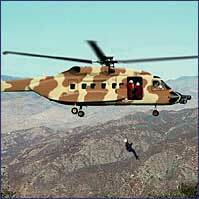 We are confident that Bristow Helicopters will provide excellent rescue services to the people of the United Kingdom."